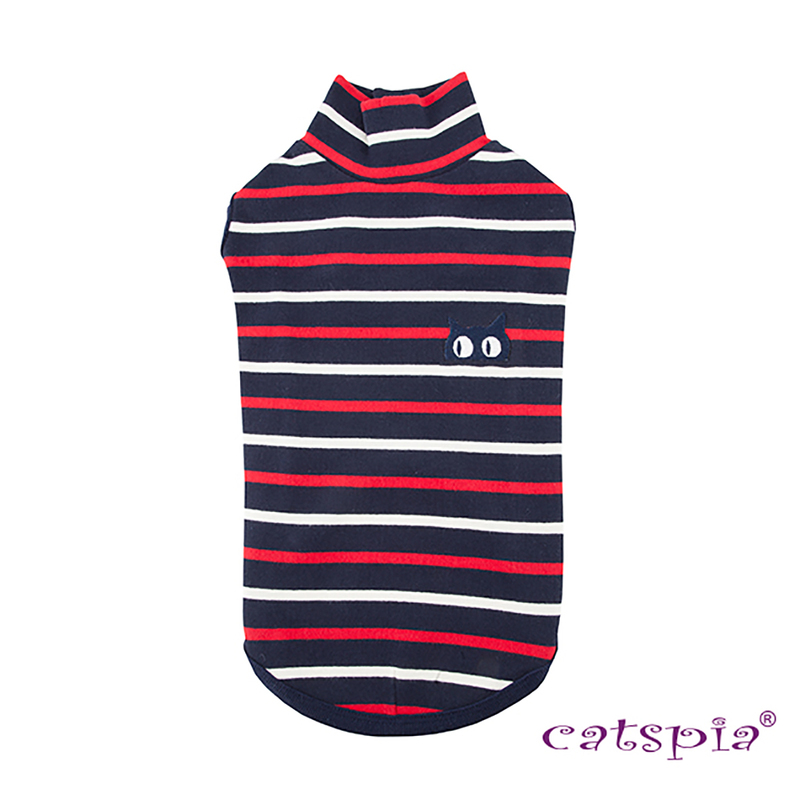 The Fritz Cat Sweater by Catspia in Navy is a great sweater for your cat! 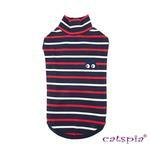 The Fritz Cat Sweater by Catspia is a warm and cozy turtleneck sweater. 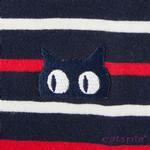 It has a striped pattern and a solid schemed with a cute little cat character decorated on the back of the turtleneck. 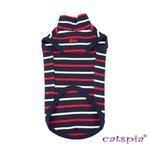 Material is made with 90% Cotton, 5% Polyester, and 5% Spandex. 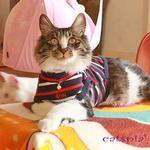 A great gift for your cat! Matching harness and leash sold separately. Matching leash and harness sold separately. Small: Chest 14.6" Neck 10.2" Length 9.4"
Medium: Chest 17" Neck 11.8" Length 11.4"
Large: Chest 19.3" Neck 13.4" Length 13.4"